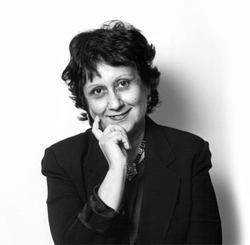 Yasmin Alibhai-Brown came to this country in 1972 from Uganda. She completed her M.Phil. in literature at Oxford in 1975. She is a journalist who has written for The Guardian, Observer, New York Times, Time, Newsweek, Daily Mail and other newspapers and is now a regular columnist on The Independent and London’s Evening Standard. She is also a radio and television broadcaster and author of several books. Her book, No Place Like Home, was an autobiographical account of a twice removed immigrant. From 1996 to 2001 she was a Research Fellow at the Institute for Public Policy Research which published True Colours on the role of government on racial attitudes. Tony Blair launched the book in March 1999. She is a senior fellow at the Foreign Policy Centre. In 2000 she published, Who Do We Think We Are? which went on to be published in the US too, an acclaimed book on the state of the nation. After Multiculturalism, a pamphlet re-assessing the multicultural ideology in Britain was the first critical examination by a social democrat of a settled and now damaging orthodoxy. In 2001 came the publication of Mixed Feelings, a book on mixed race Britons. Her most recent book is The Settler’s Cookbook (2009).